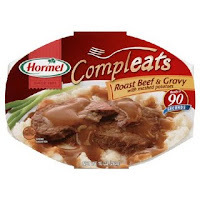 If you still happen to have the $2.00/1 coupon from the October 2009 issue of All You Magazine, you can get a FREE Hormel Compleats at Dollar General! They are marked down to $2.00 each right now. Here are a few other deals I noticed there that you might want to grab. Keep in mind that Dollar General will accept Manufacturer’s coupons, however, they will not accept anything that is printed on-line.